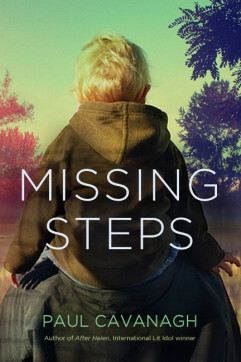 The Indiegogo crowdfunding campaign for my second novel, Missing Steps, is just humming. Thanks to several generous contributors, we’re already halfway to the $2,500 target. Make a pledge if you haven’t yet. Perks include advance release paperbacks, autographed copies, and special mention of your name in the acknowledgements section of the book. Now let’s have some fun. Time to select a cover. Update: The votes are in and a book cover has been chosen! My next post tells you the result. My talented book designer, Tania Craan, has presented me with four potential designs for the cover. I’m looking to you to help me decide which one I should choose. Let me know what you think of the four options by leaving a reply below. Dean Lajeunesse doesn’t want to follow in his father’s footsteps. He’s not yet fifty, but his memory is starting to fail him. He vividly recalls how dementia whittled away at his dad and doesn’t want his own teenaged son, Aidan, to see him suffer the same fate. Of course, he could just be overreacting. Maybe it’s the stress of his on-again-off-again relationship with Valerie, his long-time live-in girlfriend, or the feeling that he’s not measuring up as a father that’s making him absent-minded. But before he can understand what’s happening to him, he’s dragged home to the sickbed of his estranged mother. There, he butts heads with his older brother, Perry, who’s remained loyal to their mother and has succeeded in almost every way that Dean hasn’t. 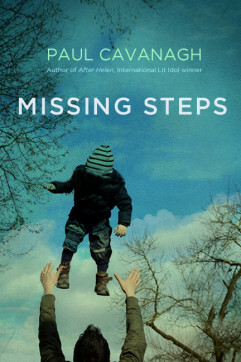 As old family tensions bubble to the surface, Dean must try to hold on to Aidan’s respect as he relives his difficult relationship with his own father. 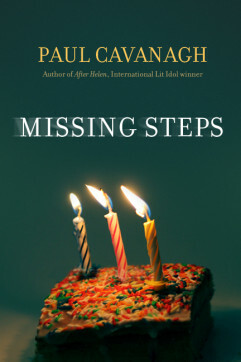 Missing Steps will be released worldwide on April 30. Help get it across the finish line by making a pledge. This entry was posted in My Books, Publishing, Writing by Paul Cavanagh. Bookmark the permalink. The photo of father and son walking hand in hand is my first choice. The birthday cake is my second choice. The first one with the father and son walking is our pick. 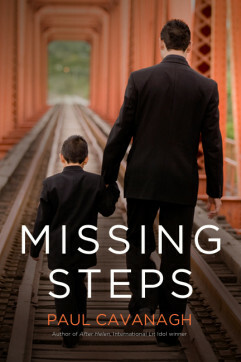 You instantly relate to “steps taken”, wondering where they came from and where they are going….. They are all gorgeous but the first one, with father and son walking along the tracks, is my pick. No. 1. I think it best portrays father son relationsh. i like the birthday cake the best. It is simpler and more striking and speaks to me about caring relationships. Paul, my first choice is the birthday cake cover and my second choice would be the father and son walking hand in hand. Second one. The relationship, the love is there. The fading colours re memory and dementia worries. The title and author name bibrant against background. Ends with word the word winner. First one looks as though he is leading son to danger on tracks. Ok if that is the story. Distracting if otherwise. Happy launch regardless if your choice! No. 4 – Father reaching up to help his son step down is my pick. The one walking hand in hand jumps out to me. As a dad, I’d judge that book by it’s cover and pick it up. Hi Paul. My favourite cover would be the first one with the father and son walking hand in hand. I too prefer the father and son walking on the railroad bridge. My second choice is the one beside it with the son riding on the father’s shoulders. • The candles don’t work for me. They could mean anything. • Boy being thrown up in the air…is just strange. this man’s past experience (based on what I read here). Too pretty. Why are they on the railroad tracks? Darker story. This story has a sense of danger. (and he was forced (led) down these tracks as a kid). Alzheimer’s disease.